A red clover plant growing in a field. Psoriasis is a chronic disorder characterized by skin cells that grow abnormally fast, taking only three to six days to mature versus normal cells that live for a month. This results in a pile-up of skin cells that cause patches of dry, inflamed, white, scaly lesions usually on the scalp, hands, feet, knees and elbows. Because there is no known cure for psoriasis, treatments are aimed at alleviating symptoms. Herbs and teas can provide relief from the discomforts of psoriasis. Many psoriasis sufferers lead stressful lives, and their skin’s overactivity can be a reflection of that. Taking definite measures to reduce stress can have a dramatic effect on your skin. Herbal remedies that restore, relax, strengthen and support the nervous system include skullcap, vervain, wild oats, passion flower and chamomile taken in pill or tea form. Avoid coffee, cola and other stimulants that contain caffeine. 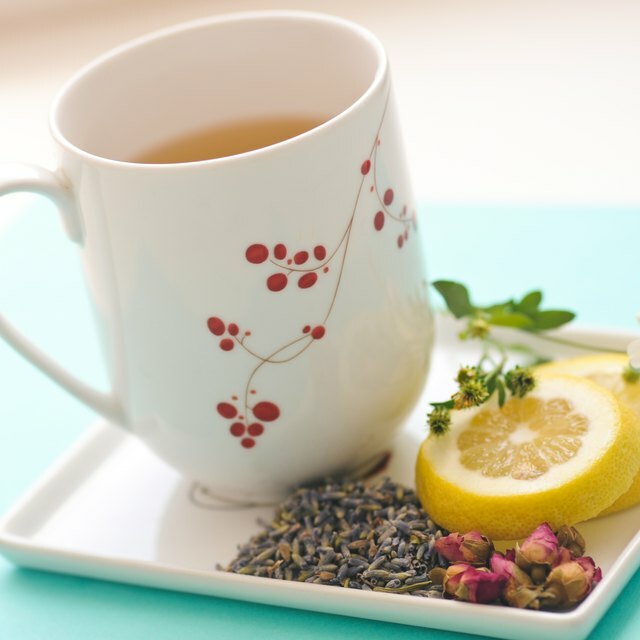 Drinking herbal tea is helpful in counteracting the dryness of psoriasis. Oregon grape root, sarsaparilla, burdock, yellow dock, red clover and nettles infused individually or in combination can provide relief. Always use loose-leaf tea rather than tea bags. Typical tea bags are filled with fannings, the dust of the leaves that have been ground up and pulverized. This process exposes the essential oils to the air and destroys them. Loose leaf teas have been minimally processed and contain whole leaves and flowers with much more valuable essential oil contained within and steeped into your teacup. Severe cases of psoriasis cause large patches of skin to exfoliate so quickly that it can lead to infection, fluid loss and poor circulation, which puts a strain on your entire circulatory system and can adversely affect your heart. Hawthorn and motherwort are remedies that support the heart and circulation. Topical herbal applications can also relieve psoriasis symptoms. Essential oil of lavender can be mixed with olive oil and applied directly to your skin or added to your bath water to fight inflammation and heal irritated skin. Yarrow or sea salt can also be added to bath water for their soothing effects. Detoxification and correction of abnormal liver function is a vital step in the herbal treatment of psoriasis. Burdock root is a strong liver purifier, blood cleanser and anti-inflammatory herb with special value for skin problems. 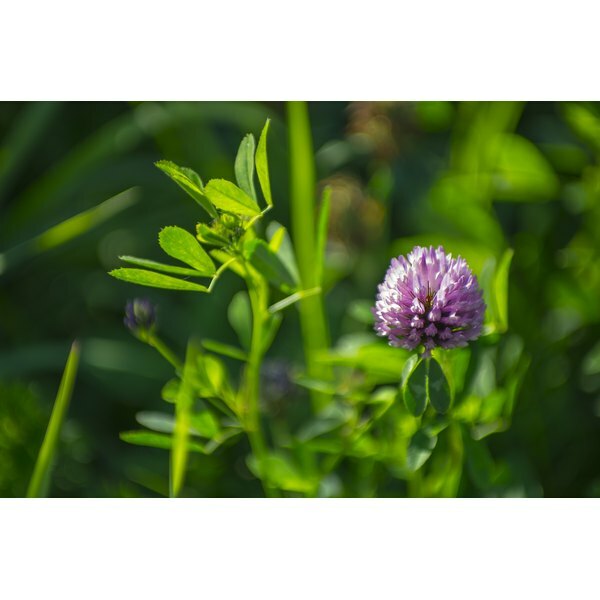 Red clover and figwort cleanse the liver and blood cells of accumulated toxins, soothing the itching and irritation. Milk thistle, which contains silymarin, detoxifies and stimulates healthy new liver-cell growth. Because herbs work more slowly and gently than prescription drugs, it takes longer for their beneficial effects to manifest. Care should be taken when using herbal remedies. Consult with your health-care provider or qualified herbalist for stubborn cases of psoriasis.